Disclaimer: This fightclass only works with the English client. It is possible, that I will add support for more later. DO NOT USE ON TBC. 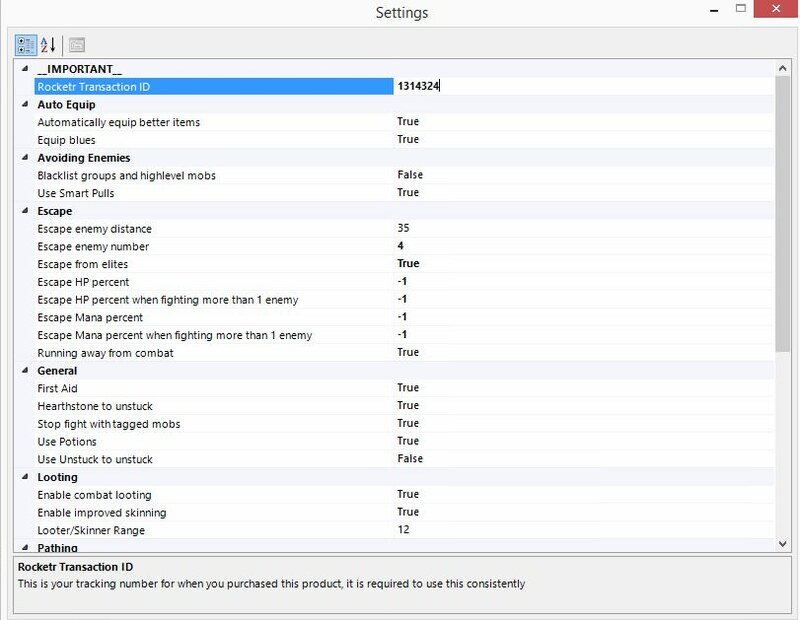 Your transaction ID here is "1314324" you will need to copy this into the fightclass settings after purchasing it to be able to use it. Make sure the DLL file is extracted into your FightClass folder. You do this by clicking on the little cogwheel icon after selecting the correct filename in your Fight Class (wRobot settings tab). Remember to do your totem quests and get a decent two-hander to start with! @eeny has a great quester profile for totems. I have almost all figthclass made from matenia.They all working very very smooth.Also he is always there to help u with any issues.